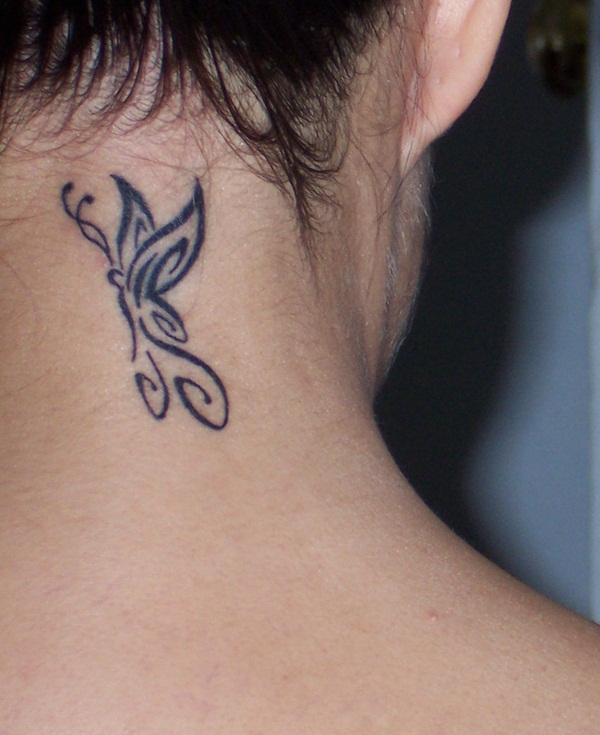 Tattoos have become a part of the current fad and there are different types of tattoos that girls of modern era prefer. They get their body parts inked and flaunt it around to express certain notions or simply relish the tattoos carved on their legs or shoulders. 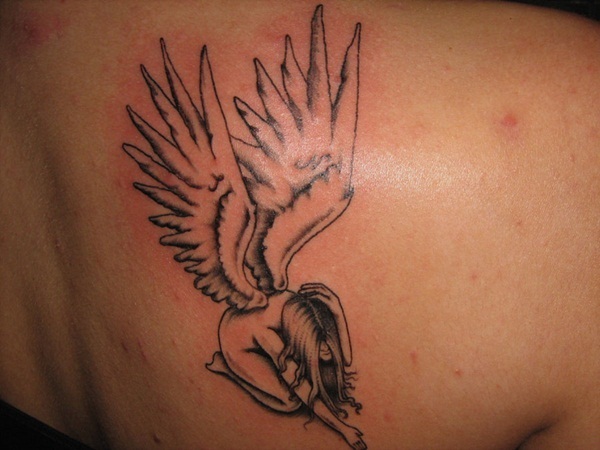 Angel tattoos are popular and one of the mainstream tattoos that generally focuses on angel designs. They are available in numerous designs and textures and symbolize different meanings. 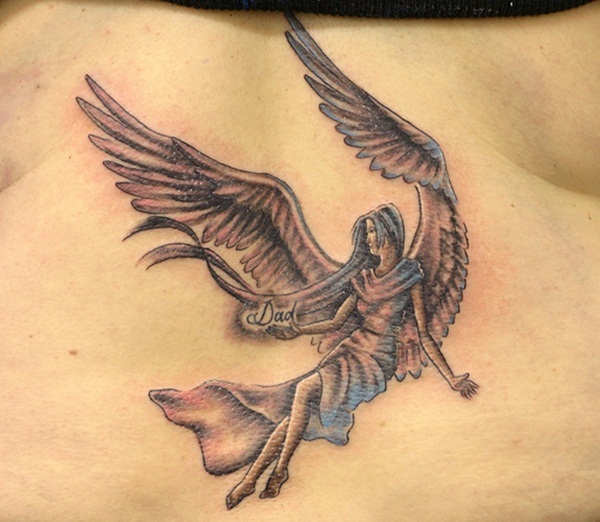 Angel tattoos are inked with different colors and patterns and come in a variety of shapes and sizes. They are generally designed as a large sized tattoo. Angel tattoos fill your mind with peace and placidity. Its strokes and shades are marvelous and the angelic designs are simple breath-taking. Here are some amazing significant points that must be considered while inking stunning tattoos of angels. Many girls prefer to ink themselves with tattoos that represent messengers of God. It represents angels with folded hands and closed eyes bearing resemblance with prayer posture. 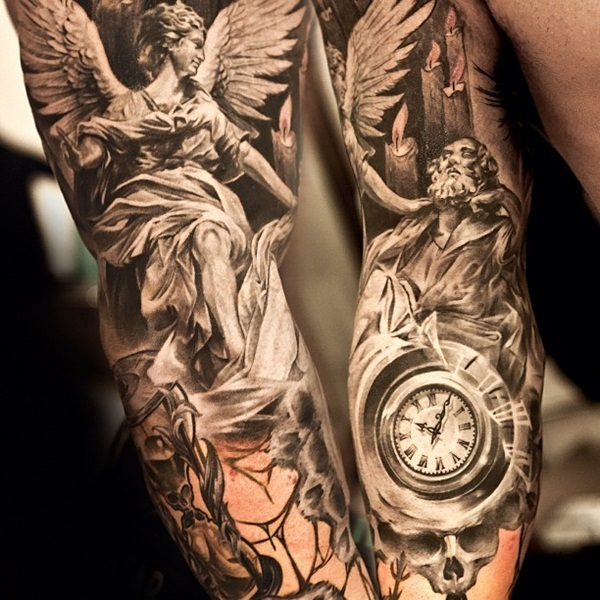 The angel tattoos that depict messengers of God signify certain significant things. 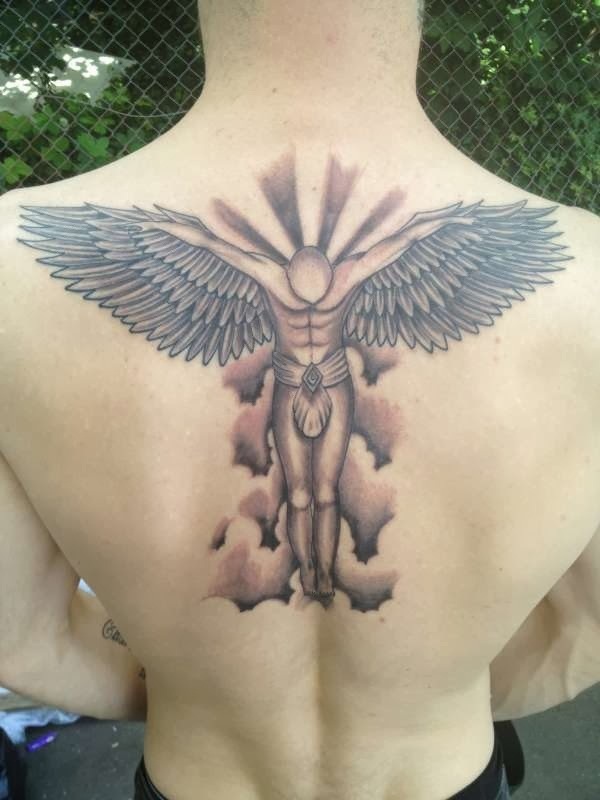 The angel tattoos indicates that the messengers can traverse from heaven to our planet and hence witness all that is happening around us. Hence it spreads the notion of goodwill that everyone must share love and affinity with each other as God is watching over us. Angels have both the good and evil characters in them and there are angels that bring in a flurry of hope and wisdom while there a few angels who have been disowned by heaven owing to their rebellious actions and deeds. 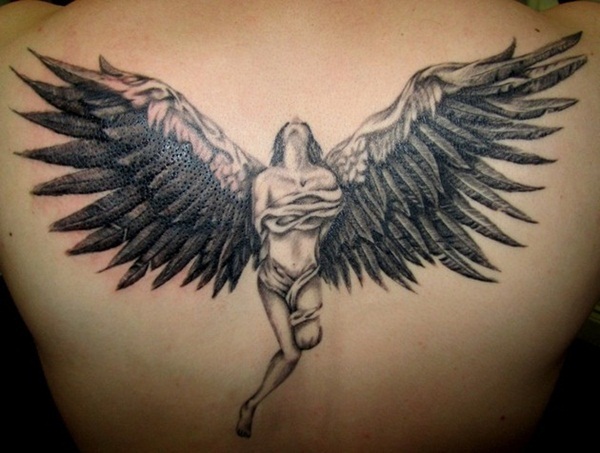 The meaning of fallen angel tattoos can be traced back to the consequences due to which they were thrown out of heaven. These tattoos hence mark emotions of anger and disdain. 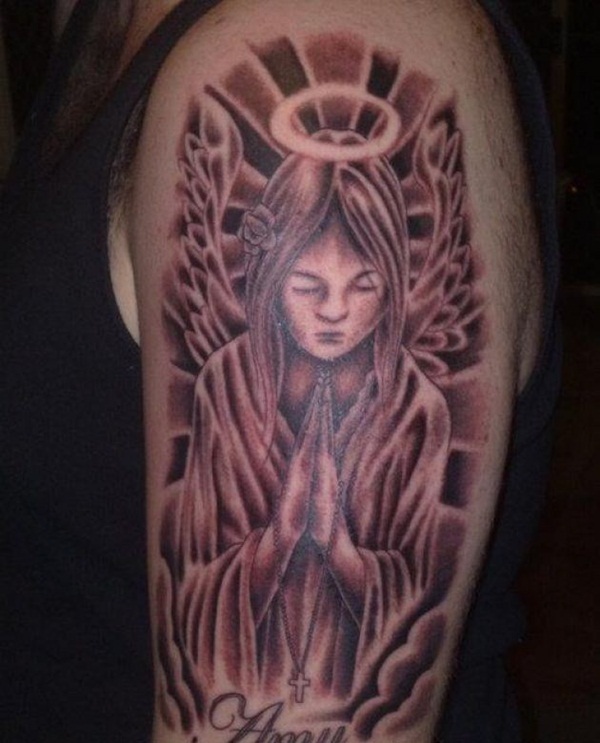 Girls who have been affected in their lives and have confronted the rough patches get their bodies inked with fallen angel tattoos to express their agony and sadness. The fallen angels can never return back to heaven. Emotionally hurt girls want to indicate the same with these tattoos. 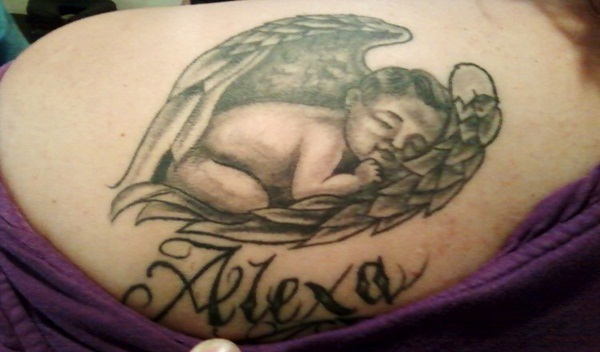 Apart from all the different types of angels mentioned, tattoos on baby angels are also pretty popular. 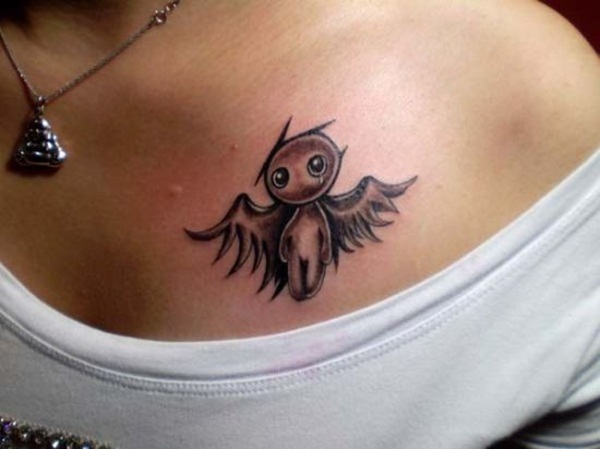 Girls yearn for tattoos of cute cupids which symbolize the angel of love. They wish to adorn their lives with the merry feelings of love and togetherness. 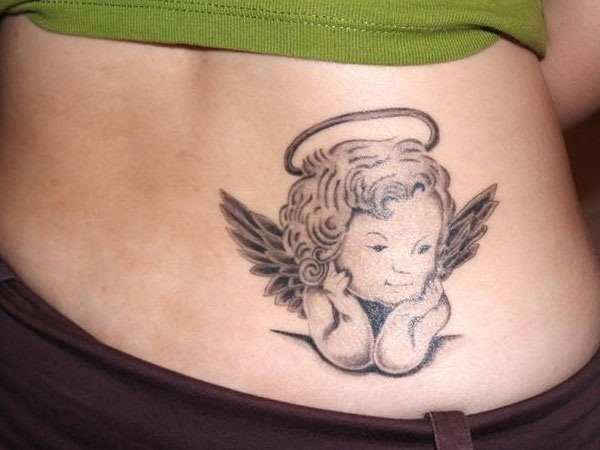 Baby angels express simplicity and innocence and girls who are calm and soft-hearted generally these tattoos. The charming face of baby angels makes a spectacular design on the shoulder, neck and arms of the girls. Cupids are chosen by girls who are experiencing their first and true candy love. Guardian angels represent strength and protection. Girls who possess a strong mind and determination and are confident they shall overcome the hurdles get inked with tattoos of guardian angels. In most of the designs of guardian angels the designs are generally floating. It shows a feminine or masculine angel who are either carrying a sword or some other weapon. They indicate the annihilation of evil and dawn of grace and protection. 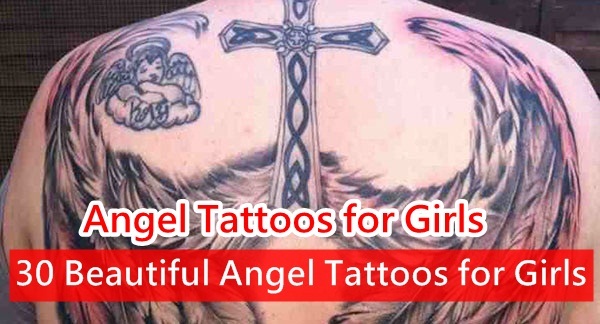 Guardian angels make beautiful tattoo designs for girls with their deep and strong meaning about courage to face life and combat against all odds. The designs indicate that the followers of God are well protected by him. 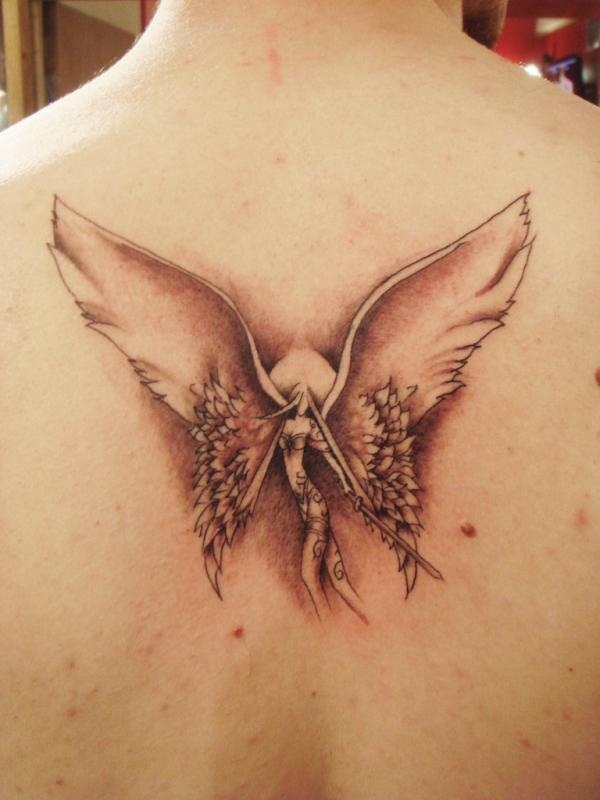 Angel tattoos which have butterfly designs and wings on it generally signify pious feelings and reverence. 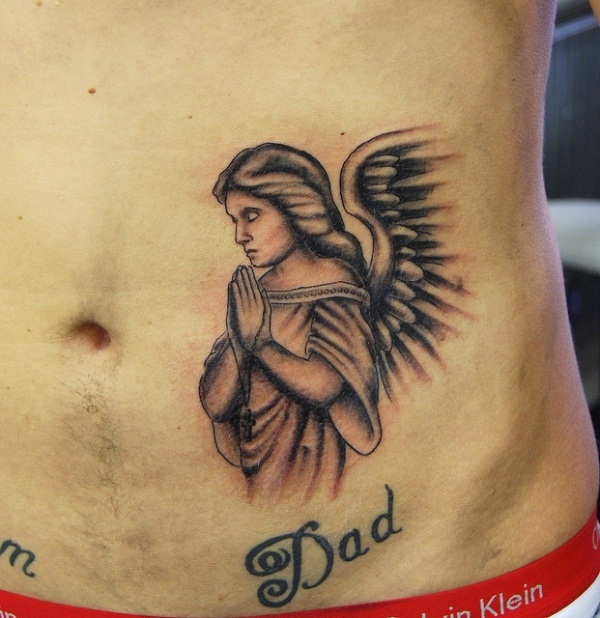 The most desirable angel tattoos signify the belief towards the Almighty. 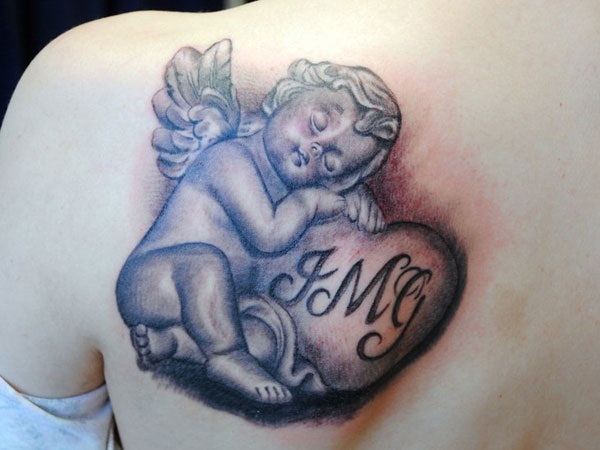 Angel with wings or butterflies is the widely used angel tattoos and it embellishes the bodies of girls beautifully. Angels with broken wings signify despair and sadness. Such withered wings express dismay. They are also drawn with light strokes and sad postures are given to emphasize on the dark emotions of disgust and disappointment. There are different types of angels and their postures and structures unfold different meanings. 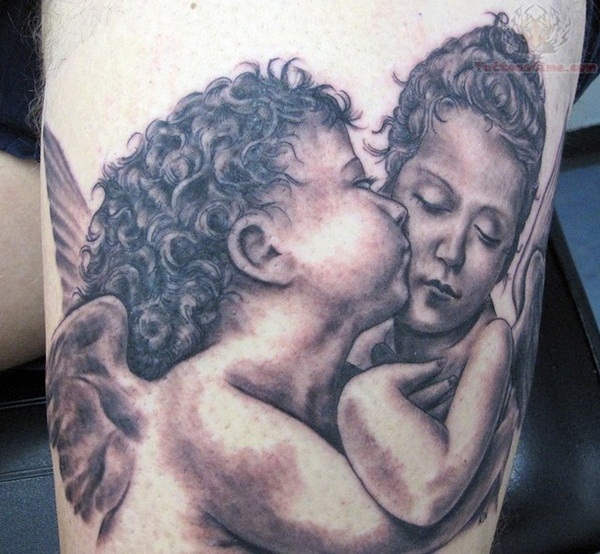 Hence get the right idea and notion about all angels and hence get yourself inked with beautiful angel photos.